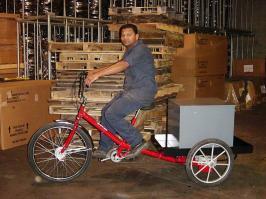 What makes Worksman the leader in cargo bikes, delivery cycles for business? The Industry’s broadest selection combined with legendary “Worksman Tough” construction! For over 100 years, Worksman has been the choice for cargo bikes, delivery cycles by large fleets or single store operators. 2. 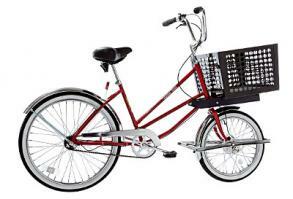 More Models: Worksman offers a full range of cycle solutions: Traditional and “Truck” style bicycles, rear-load and front-load tricycles, quadcycles and pushcarts. 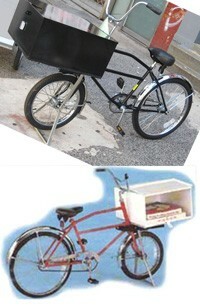 Whatever you deliver, Worksman has a cycles for you with payloads up to 600 lbs! 3. 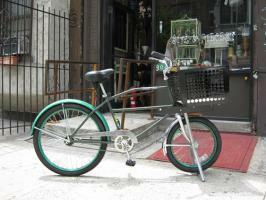 Made in America: Worksman Cycles have been made in America since 1898. We use traditional and costly construction techniques to make every cycle we manufacture live up to a “Worksman Tough” standards. 4. More Options and Accessories: Your business is unique, so why settle for “off the shelf” solutions. With Worksman you can choose from the industry’s broadest selection of cargo handling, performance, safety, comfort and graphic choices. 5. Availability of Parts: A delivery cycle which is out of service awaiting parts means lost revenue and possibly lost customers. That’s why Worksman keeps over 100,000 parts in inventory so we can get your cycle “back in the game” and making money for your business. The cargo bike is a popular method of transportation that allows for you to transport all variations of cargo via bicycle. American made cargo bikes are growing in popularity across U.S cities. These bikes are excellent methods of carrying goods where you need to go, at a fraction of the cost of an automobile. These are classic industrial grade bicycles, unlike any other brand. If you are looking for American-made bicycles, rugged bicycles & cargo bikes, then look no further than Worksman. Worksman Industrial Front Load Tricycle with super large 42" x 23" x 24" front cabinet. Versatile for delivery services, super heavy duty! 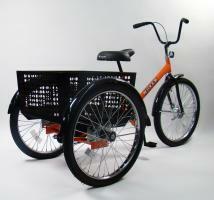 The global standard in heavy duty industrial trikes, with 20 inch wheels and a SINGLE SPEED coaster brake. 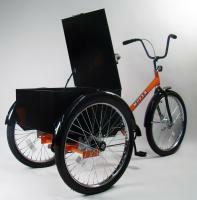 The global standard in heavy duty industrial trikes, with 20 inch wheels and a THREE SPEED coaster brake. The global standard in heavy duty industrial trikes, with big 26 inch front wheel, 20 inch rear wheels, and a THREE SPEED coaster brake. The global standard in heavy duty industrial trikes with big 26 inch front wheel, 20 inch rear wheels, and a SINGLE SPEED coaster brake. 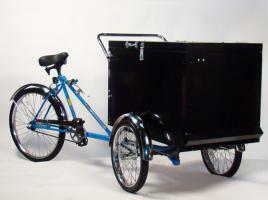 The global standard in heavy duty industrial trikes, with 26 inch wheels and a THREE SPEED coaster brake. Shown With optional cargo basket and rear fenders. 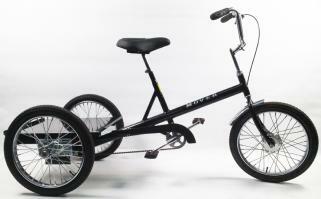 The global standard in heavy duty industrial trikes, with 26 inch wheels and a SINGLE SPEED coaster brake. Shown With optional cargo basket and rear fenders.